WIN TESLA POWERWALL HOME BATTERY! PLEASE NOTE : Our Powerwall competition ended on May 28, 2016; but you can still get a great deal on Tesla Powerwall during our 10th birthday celebrations. Can’t wait to see if you win? We don’t blame you. The Powerwall has enjoyed huge popularity since its recent launch in Australia! Go ahead, get started on ordering your full solar + storage system featuring Tesla Powerwall or system upgrade today. If you have a Powerwall installed and then win the competition, you’ll receive $11,449 cash! Tesla Powerwall is a next-generation residential battery system that enables you to make more of your valuable solar power – by storing it. You’ll be able to power your home during times your solar panels aren’t generating electricity; for example, during the evenings or in the event of blackouts. Tesla Powerwall requires very little maintenance or monitoring. It will supply you with electricity quietly, efficiently and without fuss for many years. Far from being a bunch of batteries cobbled together like some other residential storage solutions, this next-generation battery is very compact and its super-strong casing gives it an ultra-modern look. Tesla Powerwall is wall art! 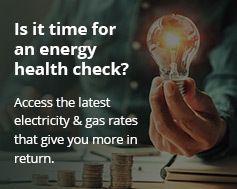 If you choose to go solar with Energy Matters Australia and win this fantastic competition, you’ll not only receive the Powerwall, but also additional components from leading brands SolarEdge or Fronius. If you’re the lucky winner, our Tesla-authorized professionals will install the Powerwall. Thus ensuring it works seamlessly with your solar panel array and at peak efficiency. Further information about Powerwall, specifications and how it integrates with a solar power system can be viewed here. Please note: Residents of WA, NT and ACT are ineligible to enter. Terms and conditions associated with competition can be viewed here.